Mr. Doerr is the Chief Executive Officer of Passage Partners, LLC (a private investment company) and served as the Co-Chief Executive Officer from 2001–2016. 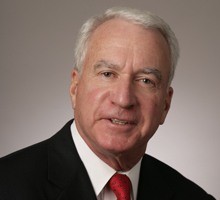 In prior roles, Mr. Doerr served as the Co-Chief Executive Officer of Sterling Aviation Holdings, Inc. (an aircraft management and charter company), from 2004–2014; Executive Chairman and Chief Executive Officer of Karl’s Rental, Inc. (a global manufacturer and supplier of portable event structures and related equipment), from 2009–2011; and as the President and Co-CEO of Leeson Electric Corporation, from 1986–2001. Mr. Doerr has served as a director of several privately-held and publicly-traded companies and currently serves as a director of Roadrunner Transportation Systems, Inc. (a transportation and supply chain solutions provider). Mr. Doerr has been a director of Regal since 2003.